KFAR SABA, Israel, Nov. 8, 2018 /PRNewswire/ -- Innoviz Technologies announced today that its InnovizOne™ automotive-grade solid-state LiDAR and Computer Vision software have been awarded the elite 2019 CES® "Best of Innovation" honor, given to only the highest-rated product or technology in each category, underscoring the company's key technology contributions to the mass commercialization of autonomous vehicles. The first and only LiDAR capable of delivering a commercially viable, automotive-grade, solid-state sensor, InnovizOne represents an unprecedented combination of safety, reliability, compact size and affordability together in one of the most high-performance 3D sensing solutions in the industry. Hailed as the most outstanding product in the "Vehicle Intelligence and Self-Driving Technology" category by the Consumer Technology Association (CTA), Innoviz will be showcased at the upcoming CES 2019 on January 8-11 in Las Vegas. The annual CES Innovation Awards program--judged by an expert team of industrial designers, independent engineers and members of the trade press in the autonomous vehicles sector--celebrates outstanding product design and engineering in new technology products. Mass adoption of LiDAR, widely considered the key building block in the race to commercialize autonomous vehicles, has historically been throttled by poor performance and exorbitant price points, among other deficiencies. BMW's recent decision to deploy InnovizOne as part of its autonomous vehicles program beginning in 2021 indicated a paradigm shift within the industry and clearly signaled Innoviz's solution as the best fit for mass-produced autonomous vehicles. Innoviz's LiDAR solution offers unique solid-state, MEMS-based design, providing the superior depth perception necessary for Levels 3 - 5 of autonomous driving. Combined, InnovizOne and Innoviz's Computer Vision software deliver a complete software stack for autonomous vehicles, turning the LiDAR's superior data and 3D point cloud into meaningful driving decisions through industry-leading object detection, classification, tracking, lane marking, simultaneous localization and mapping (SLAM) software and more – all while meeting or exceeding the stringent requirements of OEMs and technology companies. "CES has emerged as the most important automobile technology gathering in the world, so it's particularly rewarding to be recognized as the highest-rated technology in the vehicle intelligence category by industry influencers for our role in overcoming LiDAR's key weaknesses in an aggressive timeframe and essentially accelerating the mass commercialization of autonomous vehicles," said Omer Keilaf, CEO and Co-Founder of Innoviz. 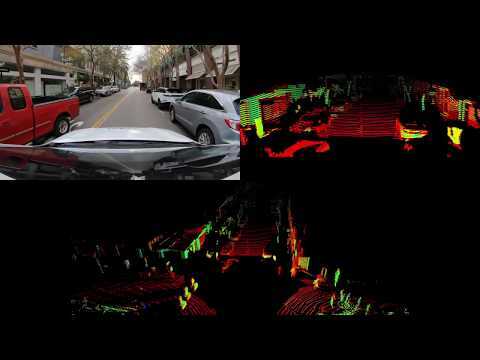 "Automakers have been clamoring for a mass-market LiDAR solution. BMW's selection to integrate Innoviz's sensing technology and Computer Vision software for serial production demonstrates real commitment for solid-state LiDAR from automotive OEMs. It also enables Innoviz to provide industry stewardship in an area lacking industry-wide certification and standardization protocols. The data we gather now will provide the necessary guidance to help create standardized benchmarks the entire industry can use to move autonomy forward." In 2018, Innoviz also received CES Innovation Awards Honoree recognition in the same category for its groundbreaking InnovizPro™ high-definition, solid-state LiDAR. With $82 million in venture capital funding, the company has grown rapidly since its founding in 2016 and now employs over 200 people, while expanding beyond its Israeli headquarters to include a presence in the US, China, Japan and Europe. It has forged strategic partnerships with Tier 1 solution providers including Aptiv, Magna International, HiRain Technologies and Samsung HARMAN. CES attendees can experience Innoviz's award-winning LiDAR sensor technology at Booth #1415 in Westgate, Tech East. It will also be featured in the Innovation Awards Showcase in Tech West, Venetian Ballroom E/F. Schedule your meeting with the Innoviz team at CES 2019, here. Produced by the Consumer Technology Association (CTA), CES 2019 is the world's premier gathering place for technology, featuring 180,000 visitors and 4,500 exhibitors across 2.75 million net square feet of exhibit space. The award represents recognition from the CTA for outstanding design and engineering achievement and honorees are selected by a panel of technology designers, engineers and members of the media. Innoviz is a leading provider of cutting-edge LiDAR remote sensing solutions and Computer Vision software designed to enable the mass commercialization of autonomous vehicles. The company's LiDAR products deliver superior performance at the cost and size required for mass market adoption. Available now, InnovizPro™ offers unrivaled angular resolution at the highest frame rate of any LiDAR solution currently on the market. The company's automotive-grade LiDAR, InnovizOne™, will be available in 2019 and was selected by BMW for series production of its autonomous vehicles in 2021. Headquartered in Israel, the company was founded in January 2016 by former members of the elite technological unit of the Israeli Defense Forces with renowned expertise in the fields of electro-optics, computer vision, MEMS design and signal processing. Innoviz is backed by strategic partners and top-tier investors including Aptiv (Delphi Automotive), Magna International, Samsung Catalyst, SoftBank Ventures Korea, 360 Capital Partners, Glory Ventures, Naver and others. For more information, visit www.innoviz.tech. Consumer Technology Association (CTA)™ is the trade association representing the $351 billion U.S. consumer technology industry, which supports more than 15 million U.S. jobs. More than 2,200 companies – 80 percent are small businesses and startups; others are among the world's best known brands – enjoy the benefits of CTA membership including policy advocacy, market research, technical education, industry promotion, standards development and the fostering of business and strategic relationships. CTA also owns and produces CES® – the world's gathering place for all who thrive on the business of consumer technologies. Profits from CES are reinvested into CTA's industry services.